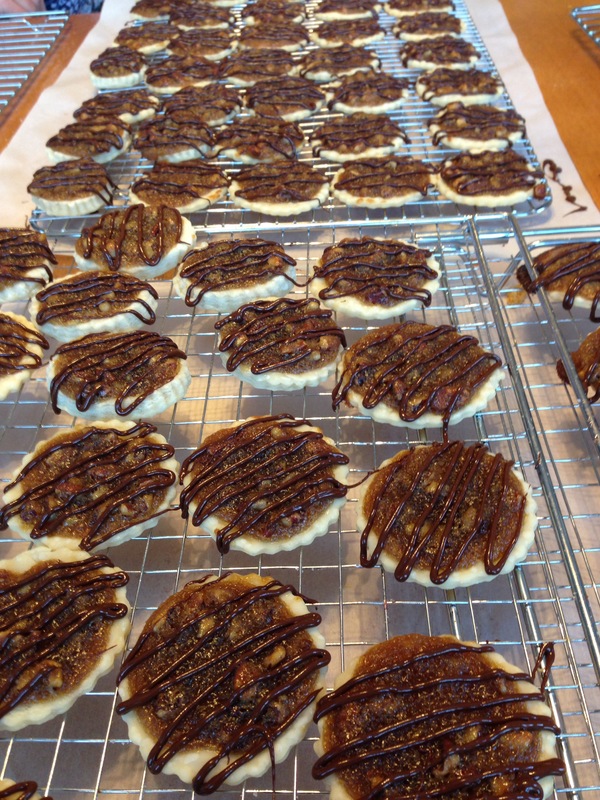 As part of our annual cookie baking day, we often try a new recipe or two alongside our family favourites. 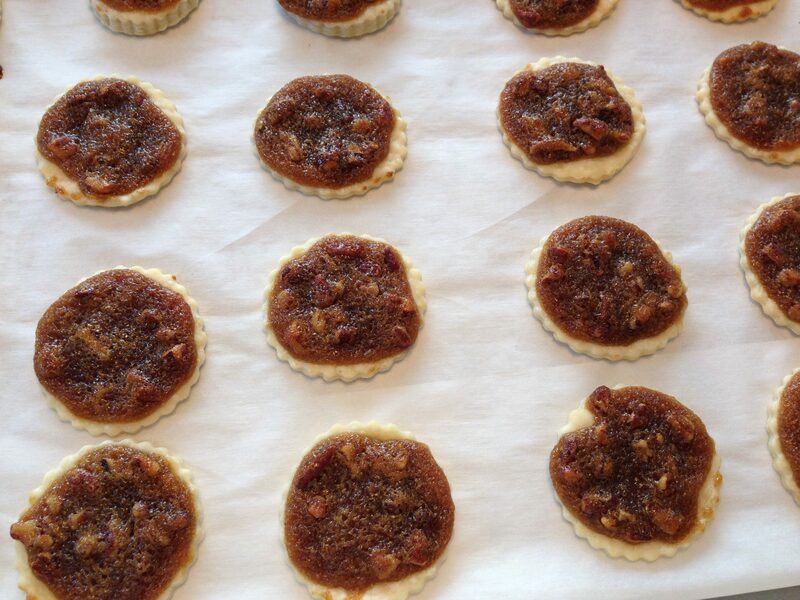 This year, the Pecan Pie Cookies from the Spend With Pennies website was our choice. 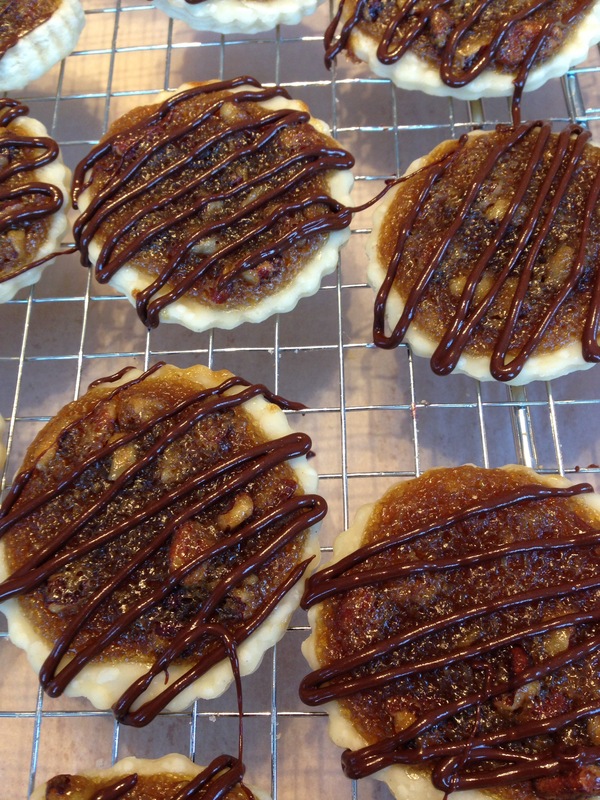 We made a couple small changes: We used a 2.5 inch cookie cutter, doubled the filling amount and found it was enough to make 60 cookies by using 3 single pie crusts and re-rolling the scraps. I used a 1/2 tablespoon measure to evenly fill the cups and prevent overflow. All the info and recipe details are on the website link above. 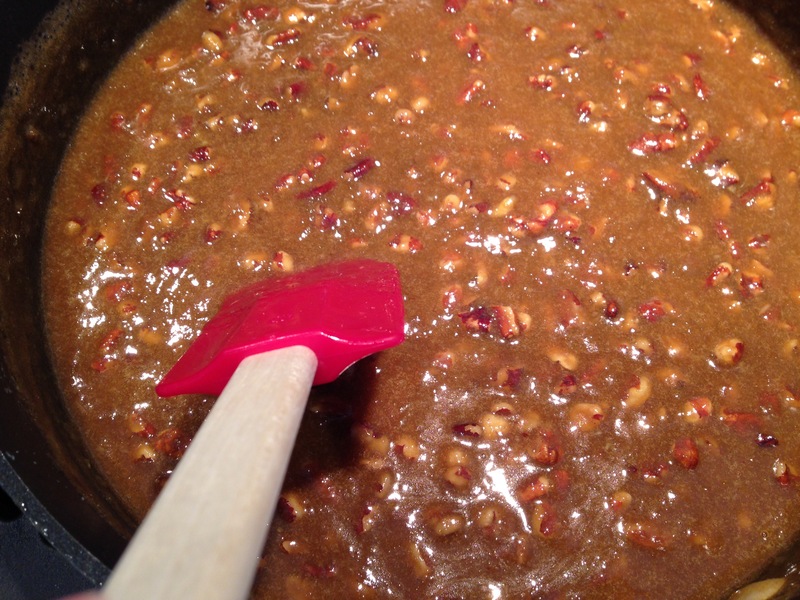 The thing I would add is that the caramel nut topping is ready once it has boiled and then changed colour from light to deep caramel. I used prepared pie crust as she did in the instructions. I thought the whole process might be a bit fiddly, but it was actually easy and quick to complete these. Lifting the dough to form a little cup is just to hold the mixture until the oven starts to work on it. 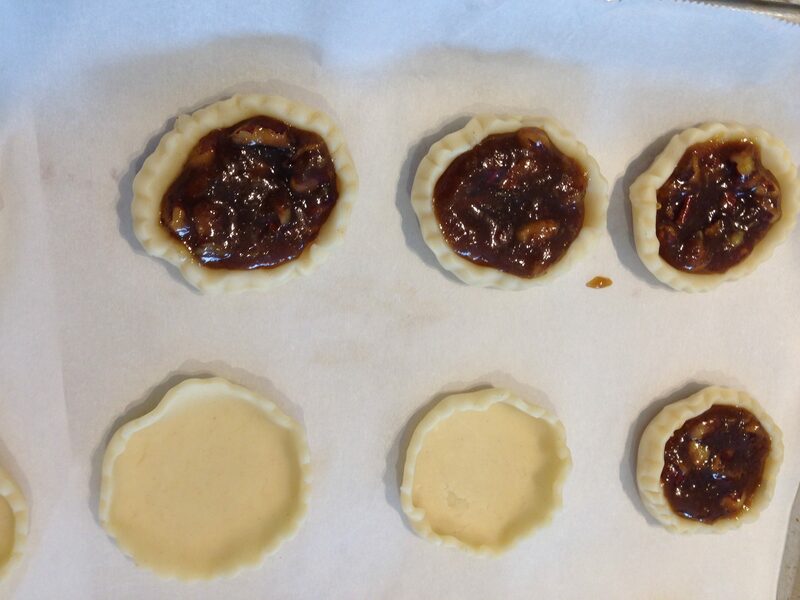 The crust relaxes in the heat and the topping flows to the edges of the cookie and sets.